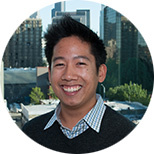 As a Post-Bachelor Fellow, Anthony worked on the Health Systems Solutions and Disease Expenditure research teams. After his time at IHME, Anthony went on to pursue a medical degree at the University of California, Los Angeles. Video: Why did you apply to the PBF program?